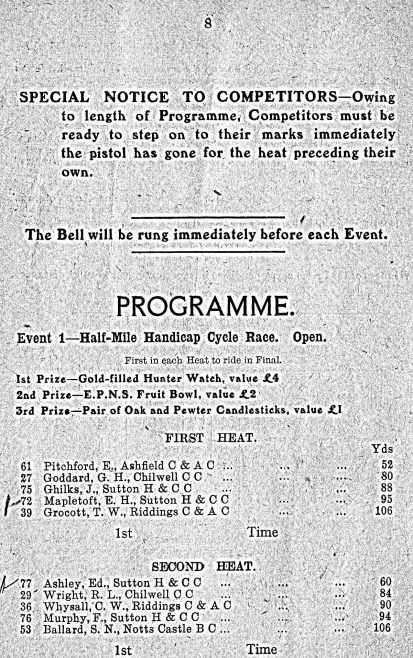 This event attracted cycling and athletes from quite a distance and would have been of great interest to many local people. 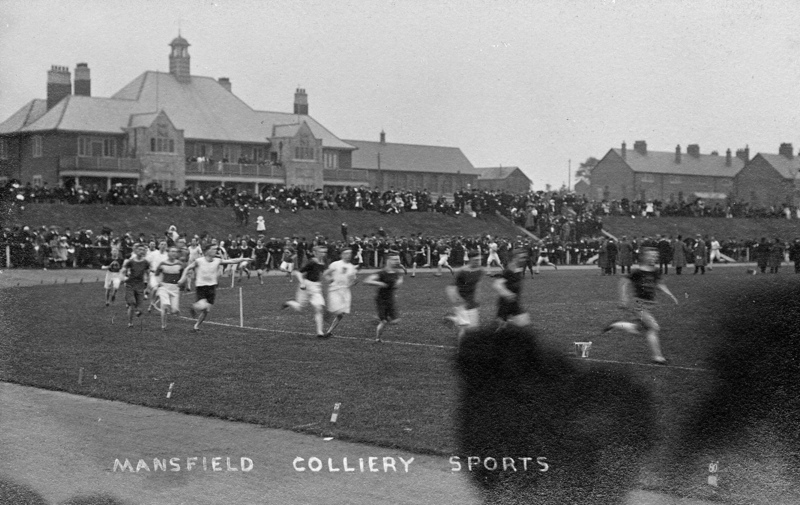 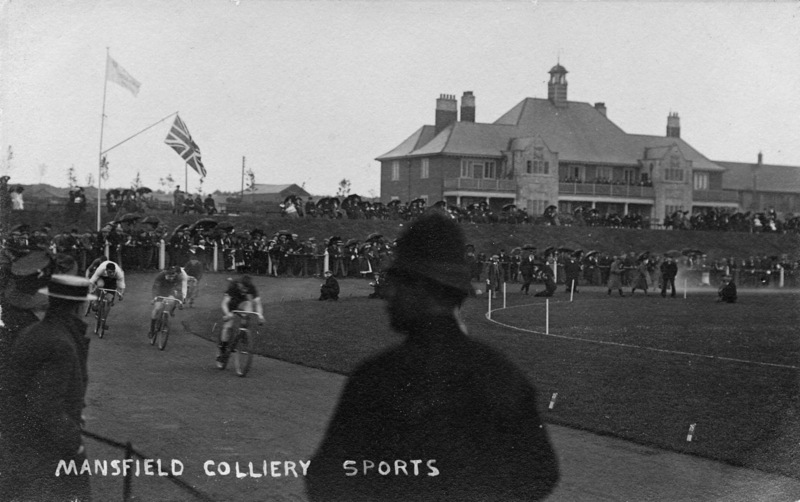 In the early years at Forest Town, the Mansfield Colliery Band was an important part of any event on the Welfare Grounds, and this one was no exception. 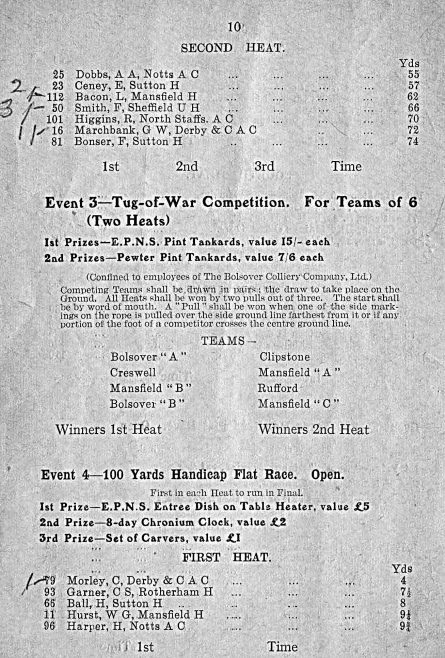 Just a few page have been selected to give an insight into the day. 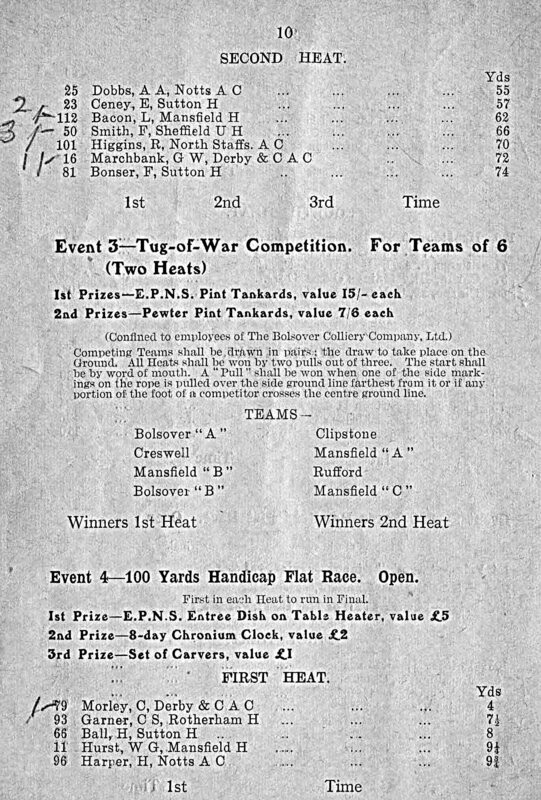 It is interesting to note that many of the prizes awarded were items such as a Hunter Watch, Fruit Bowl, Candlesticks and Tankards. 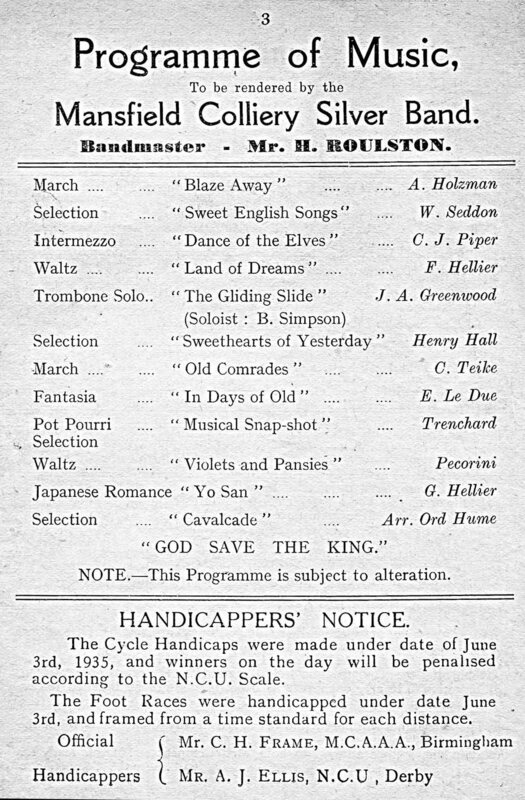 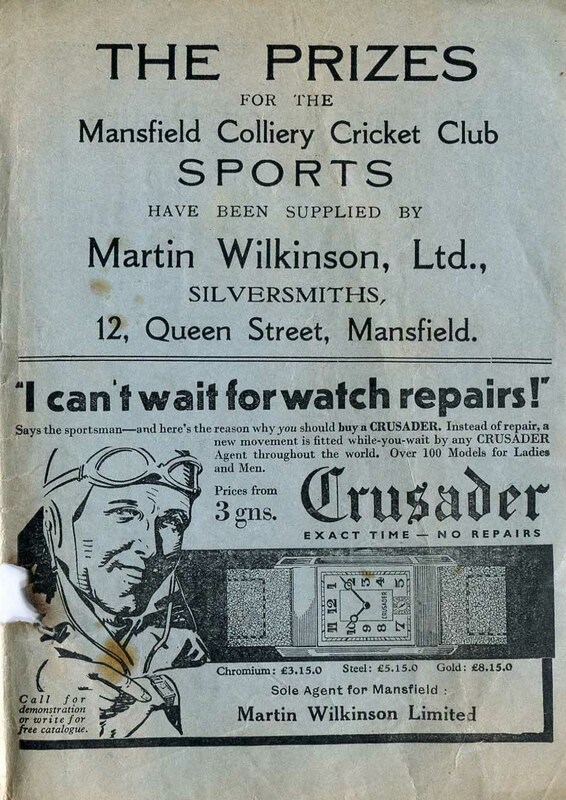 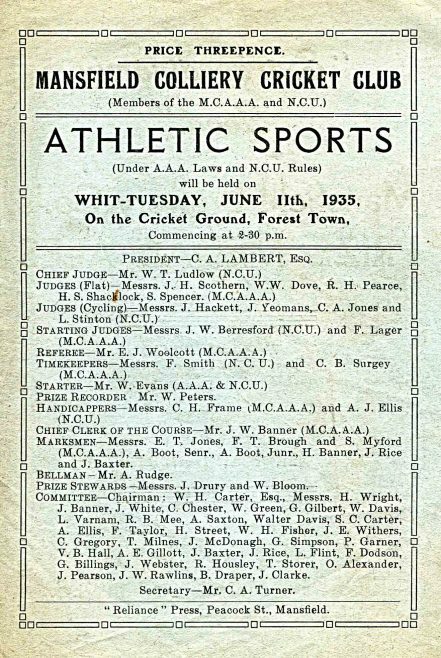 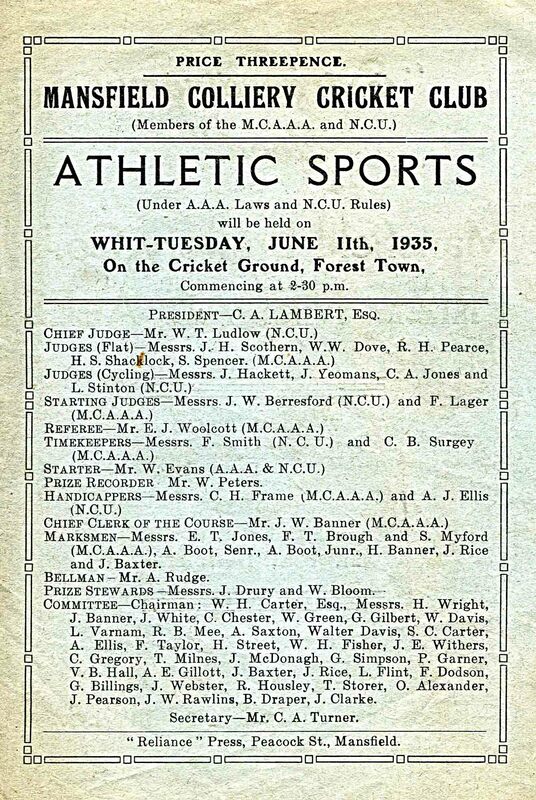 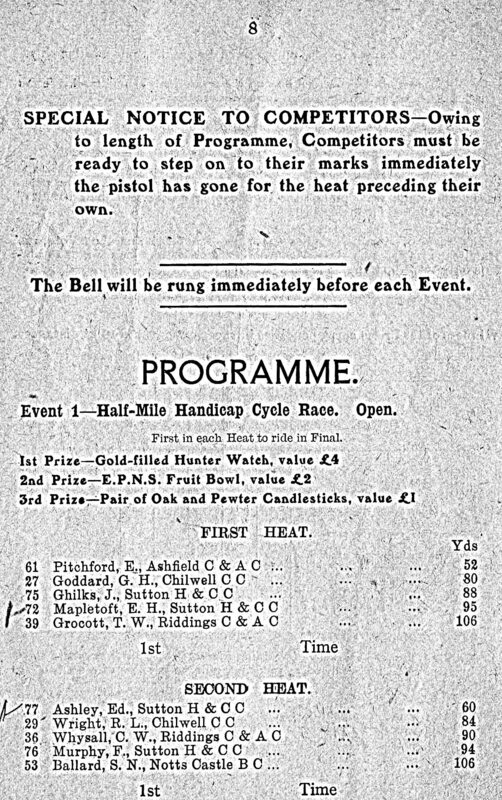 As with most events sponsors were needed to donate prizes or to advertise in the programme. 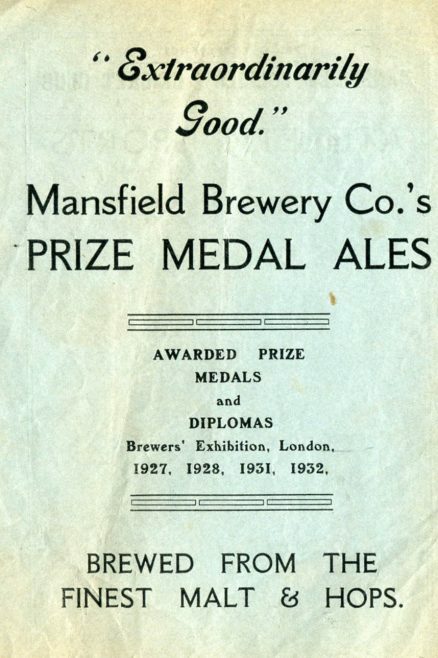 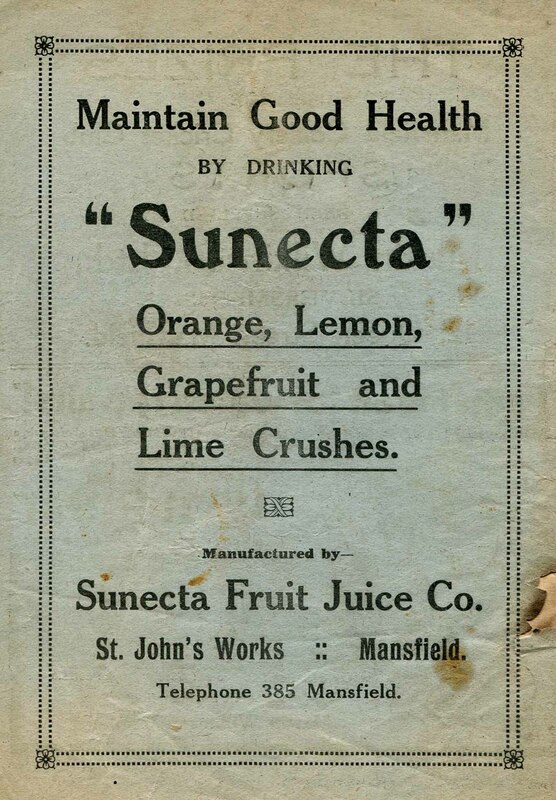 The advert also tell us what firms were around at that time.